After University of Madras's Institute of Distance Education (IDE) was not allowed approval by UGC for 48 courses it is running, the varsity has now clarified that it rectified the defects and expecting the approval for these courses within one week. After University of Madras's Institute of Distance Education (IDE) was not allowed approval by University Grants Commission (UGC) for 48 courses it is running, the varsity has now clarified that it rectified the defects and expecting the approval for these courses within one week. The University has also clarified that it is one of the few Universities eligible to offer UG and PG programmes through distance education as per the UGC Regulation 2017. Last month, several reports claimed that the Chennai-based university was facing troubles because of most of its distance education programmes were being run without the prescribed number of faculties under the UGC distance education regulations. According to reports, if the UGC discontinue the approval for these programmes, the university will incur big losses as 7 per cent of its total revenue comes from the distance education programmes. Deccan Chronicle reported last month that the Syndicate of the University decided to transfer faculty members of regular department to IDE to get the UGC approval for conducting distance education programmes. According to UGC, the programme wise recognition status and programme wise deficiency(s) to Higher Educational Institutions (HEIs), as applicable, was issued by August 16, 2018. For the programmes found deficient as per the provisions of UGC (Open and Distance Learning) Regulations, 2017, HEIs will be provided an opportunity to make representation within 30 days from the date of the UGC letter. As it seems, the UGC has looked at the representation option provided to HEIs during the recognition process's second stage. "For the programmes found deficient, HEIs can submit representations within 30 days along with documentary evidence for consideration for recognitions in the second stage. Thereafter, if the Programmes still remaining deficient, HEIs have an appeal option," UGC said in a recent notification. The Madras University said it has applied for UGC recognition for 51 UG and PG programmes and the UGC granted permission to offer 3 programmes and pointed out some deficiency to be rectified within one month. 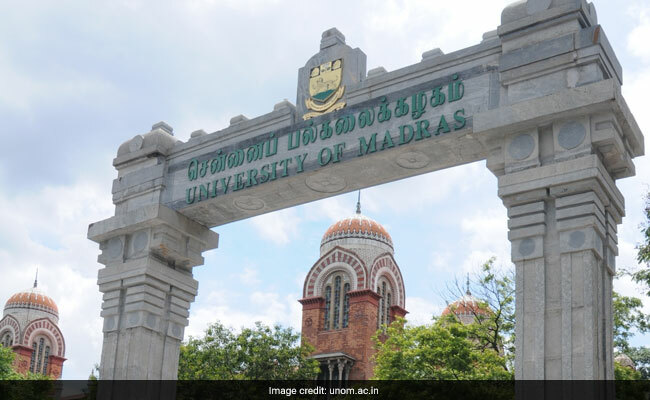 "Accordingly," the a Madras University announcement said, "the University has rectified the defects and awaiting for the UGC approval for the remaining UG and PG programmes. The approval for the remaining courses are expected within one week".